If you’re lucky enough to have a 3D TV you may well be feeling disappointed at the dearth of decent Blu-rays available to buy. So are there any true 3D Blu-rays out there? If you bought a 3D TV you’d know about it. If you somehow missed the shop assistant extolling its benefits, or miraculously didn’t notice the bunting and bows around the display model, you’d have undoubtedly noticed at the till when you parted with a few thousand pounds. The case isn’t the same for a 3D Blu-ray disc, however. This morning I went to HMV to buy a few 3D Blu-rays. Fortunately I work with TVs and know there are currently only two real 3D Blu-rays available – otherwise I could have come away with all sorts of disappointing purchases. The shop assistant checked her ‘system’ and recounted around half a dozen 3D titles that they sold, around four of which were in stock. I was surprised and asked to see them. The first title I looked at was Coraline, advertising a few pairs of free 3D glasses. I couldn’t believe such a great offer could be had for just £12, particularly as I’d just bought two pairs of 3D glasses for £140. The glasses that come with this Blu-ray, however, were the red/cyan anaglyphic type. Those that film studios were trying to wow audiences with 50 years ago. I left the store empty-handed. What would the average consumer have done in this situation? OK, perhaps they wouldn’t have bought a £3,000 3D TV in the first place, but let’s just say they did. The chances are that they’d then follow up this purchase with a handful of 3D films. And if they’d bought any of these anaglyphic films then they’d have surely been disappointed, and left wondering, more than before, what all the 3D fuss is all about. My advice is to check the packaging of the Blu-ray carefully. If it says Blu-ray 3D clearly at the top of the front cover, then you should be safe. If the only 3D claims are elsewhere on the box, and if free 3D glasses are also included, be wary. It’s just an attempt by the studios to jump on the 3D bandwagon and sell a few extra titles while there’s a lot of 3D confusion (and a dearth of true 3D Blu-ray content) around. I’ve seen some impressive 3D TV content recently, but this anaglyphic stuff is simply best avoided. which basically was too expensive for popular take up. there are many other much much cheaper options and the advantages of the system was never worth the extra cost. Nice tech – but no-one needs it. “Nice tech – but no-one needs it” ??? I don’t need a house; but I live in one. I don’t need cushions; but I have some on my sofa. I don’t understand the past tense of your post chris. Blu-ray was indeed a Sony idea…but it is successful. It’s nothing like Betamax – Betamax lost the format war against VHS. But Blu-ray won against Toshiba’s HD-DVD. Blu-ray is now growing faster than DVD did in its beginning, and with the falling cost of HDTVs everyone will want Blu-ray. In fact, anyone buying an HDTV and not buying content for it…well that’s just pointless. Blu-ray discs are getting cheaper to make – and they have so many advantages over and above HD pictures. They can fit much better software on them, meaning that using a Blu-ray is better than DVDs. You don’t need to go back to the menu screen to turn on subtitles or put on the commentary for example. And then there’s the internet capability of them, and their ability to store 3D films. They’re also almost unscratchable – so much more durable to DVDs due to a patented protective plastic. That means no skipping discs. Blu-rays are already a success and they’ll just naturally replace DVDs without you even noticing. Studios won’t be supporting selling their films for £2 much longer. And if I’m using my laptop at the same time as watching a 3d TV will I see video on my laptop in 3d too? And if I wear the specs for too long will it make one eye go blue and the other go red? 3D TVs do indeed show regular 2D content too, but you can watch this just as you would a regular telly (ie. without the 3D specs). You only need to wear the 3D glasses when watching the 3D Blu-ray discs or when watching a 3D channel. Sky is launching a 3D channel in October, and others may follow but none have yet been announced. You will need to be a Sky customer to receive this channel. 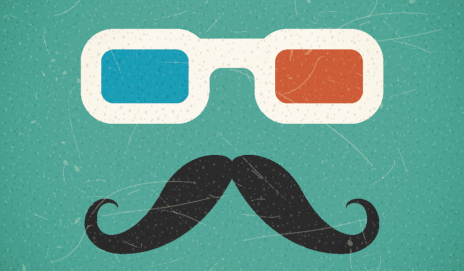 Modern 3D glasses are quite different to the red/blue 3D glasses in more traditional 3D cinema. The new glasses aren’t coloured (although they are slightly tinted like sunglasses). They’re quite expensive, and as they contain electronic components they can get a little uncomfortable after a couple of hours of use. After sitting through a feature length 3D film or a 90minute 3D football match you may be quite glad to remove them. I’m sure they’ll become more comfortable in time though. The 3D glasses are paired with the 3D TV, so if you look at your laptop screen when wearing them, then it’ll just be like looking at the screen through a pair of sunglasses – so no 3D on your laptop yet. 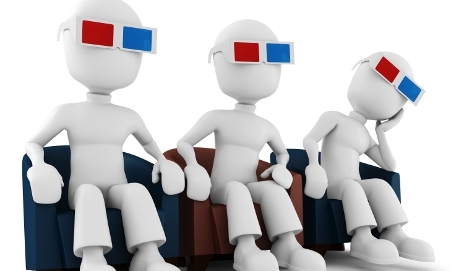 We have quite a useful guide here that explains how the new 3D TVs and the 3D glasses work. Hi Charlie – no you won’t need to wear 3D glasses to watch 2D programs on your 3DTV, because these TVs are simply everyday 2DTV’s with a high refresh rate that allows them to output two images one after another – the glasses then filter these out to separate eyes. Watching 2D programmes on this just means the TV won’t be flicking between the two images. Edit: And Ben beat me to it! Avatar is being re-released in 3D for a 2 week period starting this Friday, you should go and see that for an example of proper 3D content filmed in true stereoscopic 3D. The only difference is that cinemas use cheap, disposable glasses, but the effect is the same as the new active shutter glasses that come with 3D-TVs. and the best, if you have a samsung 3d-tv -> it makes 2d tv into 3d tv 🙂 from all sources. in nice quality. I think Anaglyph and Triovitz 3D should be completely stopped. I also think that 2D-to-3D conversions should be stopped; sure, you might get the odd good conversions but it’s not good for the industry; most of it is awful. …it’s in the interest of the studios, 3D gets bad press from Anaglyph and from poor 2D-to-3D, they may make a quick buck on the 3D bandwagon now by practicing in this way, but in the long run it may put people off, poorly informed people who don’t know the difference between the different 3D methods. IMO, only true stereoscopic 3D should be used; it’s in the interest of the consumers, the studios and everyone in between, particularly in the long run. I just bought a panasonic 3d tv with 2 pairs of panasonic active shutter glasses bundled in.i then went and bought my bloody valentine 3d blu ray and final destination 3d blu ray but the active shutter glasses dont make any difference and dont seem to work but the cheap paper glasses that were free with films do work.have i got faulty glasses or could it be something that i’m doing?